Swapan Kumar Mondal is one of the best faculty of Mechanical Engineering at MADE EASY Delhi Centre. He is an IES officer in Indian Railway. Mondal sir's "Concepts with Jugad" is popular among the students of the Mechanical stream. Here in this post, we are sharing updated notes of all Mechanical Engg. subjects created by Mondal Sir. This will be a great help to the aspirant who is preparing for UPSC IAS, IES, GATE, State PSC, PSUs, SSC JE, RRB JE & SSE and several other competitive exams. 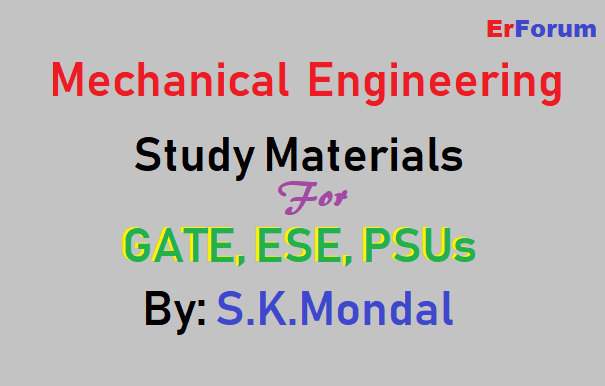 These all notes are prepared as per GATE, ESE and PSUs syllabus. Each note has concepts, numerical, previous solved questions from past 20 years GATE, Engineering Services, IAS etc.